This week’s tip of the hat belongs to Daryl Imanishi in recognition of the way he extends learning beyond the classroom walls with social media. 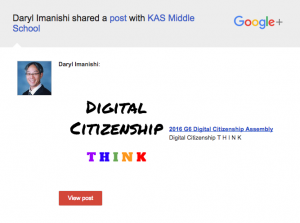 We will look at how our KAS MS Principal engages our learning community with a winning triad of online platforms: Twitter, Instagram and Google+. It is difficult to discuss community engagement without mentioning Twitter. Being able to reach out to educators all across the globe for questions or resources is a fabulous strength of the platform. This is the reason why all PD conferences begin by sharing WiFi credentials and Twitter hashtags, so that participants can connect to the Internet and then connect with one another. It is also thanks to Twitter that most of our international collaborations with teachers are initiated. Although Instagram belongs to Facebook, I personally consider it a visual extension of Twitter. It is the perfect platform for sharing photos and tying them to a global conversation with a hashtag. Instagram is particularly popular with younger audience so it is a nice tool to connect with our students. Even if tweets and photos remain accessible on Twitter and Instagram, the constant flow of new postings make them rather ephemeral media. Google+ allows discussion to be revisited and resources to be shared in a more permanent format. In fact, now that is has abandoned its original goals of dethroning Facebook, Google+ has found its niche as a platform where communities come together. When Terea was first implementing GooBric, she found terrific help by tapping into the vibrant GooBric Google+ circle. 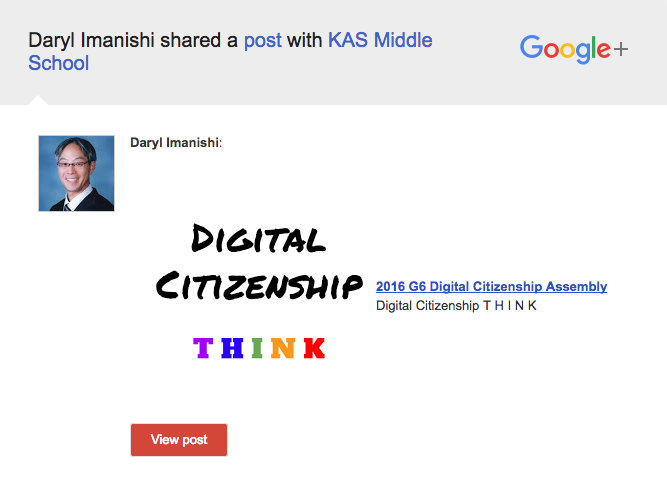 At the beginning of this academic year, Daryl launched the KAS Middle School Google+ extending conversations beyond the traditional faculty meetings. In its newest revision, many features of Google+ are particularly well suited for education. Thanks to a quick and easy filter system, discussions can be viewed by topics such as Announcements, MYP, etc. If you are not a frequent Google+ visitor, you can elect to receive email notifications of articles that are posted there. My favorite option is the ability to comment and reply to comments directly from my Inbox without me ever having to open another tab. 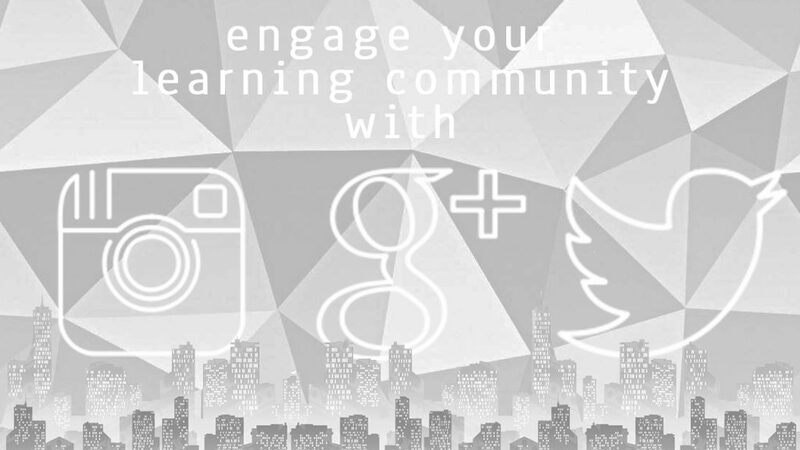 If you are using other social media platforms to engage your learning community, let us in the comment section below.